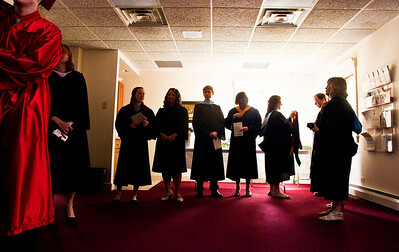 Kyle Grillot - kgriillot@shawmedia.com Faculty members in preparation before the start of the Faith Lutheran High School commencement ceremony Saturday in Crystal Lake. 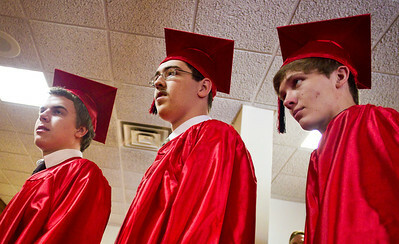 Kyle Grillot - kgriillot@shawmedia.com Students Daniel Giesey (from left), Benjamin Grimm, and Jake Larson wait in line before the start of the Faith Lutheran High School commencement ceremony Saturday in Crystal Lake. Kyle Grillot - kgriillot@shawmedia.com Seniors gather outside before the start of the Faith Lutheran High School commencement ceremony Saturday in Crystal Lake. 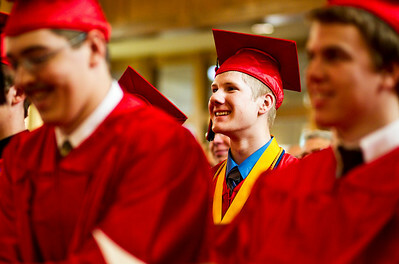 Kyle Grillot - kgriillot@shawmedia.com Co-Veledictorian Andrew Tieman smiles while listening to Co-Valedictorian David Shin's speech during the Faith Lutheran High School commencement ceremony Saturday in Crystal Lake. 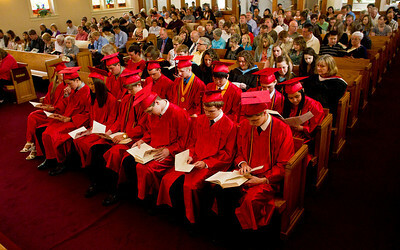 Kyle Grillot - kgriillot@shawmedia.com The class of 2014 at the start of the Faith Lutheran High School commencement ceremony Saturday in Crystal Lake. 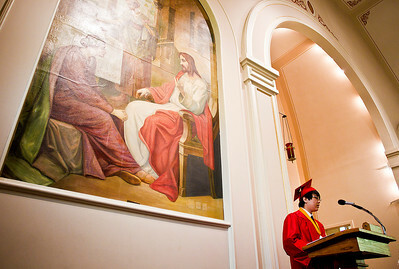 Kyle Grillot - kgriillot@shawmedia.com Gabrielle Salazar wipes away tears while listening to Linda Burmeister during the Faith Lutheran High School commencement ceremony Saturday in Crystal Lake. Kyle Grillot - kgriillot@shawmedia.com "I know you are all plugged in, with your phones.Can you say you are that plugged in with God?" 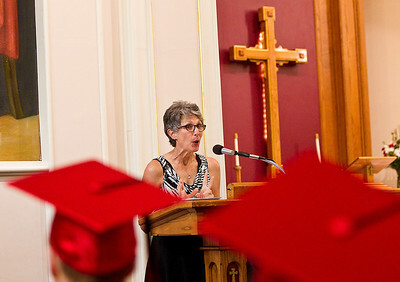 said former secretary Linda Burmeister while giving a speech during the Faith Lutheran High School commencement ceremony Saturday in Crystal Lake. Kyle Grillot - kgriillot@shawmedia.com Gabrielle Salazar reacts while watching the class rememberance video during the Faith Lutheran High School commencement ceremony Saturday in Crystal Lake. 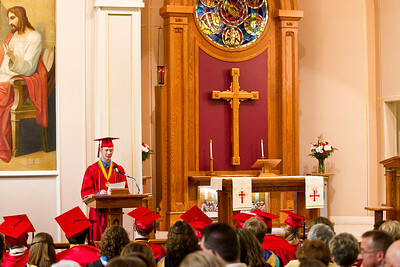 Kyle Grillot - kgriillot@shawmedia.com Co-Veledictorian Andrew Tieman gives his speech during the Faith Lutheran High School commencement ceremony Saturday in Crystal Lake. 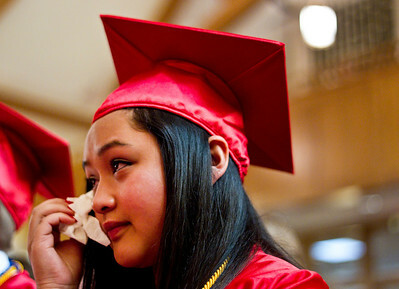 Gabrielle Salazar reacts while watching the class rememberance video during the Faith Lutheran High School commencement ceremony Saturday in Crystal Lake.